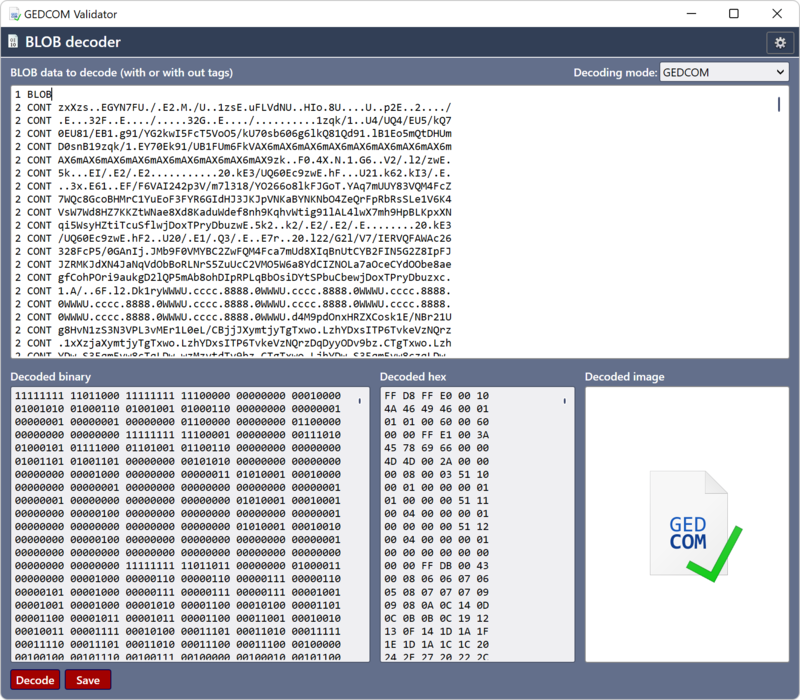 GEDCOM Validator is a tool for checking a GEDCOM file for problems which could lead to data loss when transferring files between different genealogy applications. Lots of genealogy products claim support for GEDCOM but often there are differences in the way each creates GEDCOM files. This means it is more important than ever for developers and users to be able to check GEDCOM files adhere to the specifications correctly. 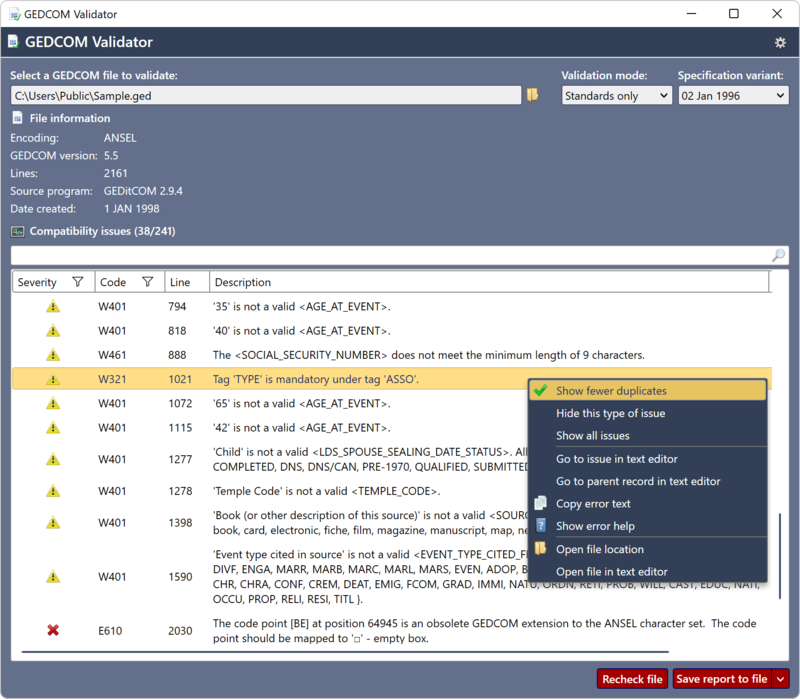 Now with GEDCOM Validator, you can check your files for problems and get in depth help on fixing any issues reported. Check the validity of GEDCOM 5.5, 5.5.1 and 5.6 files. Search and save a list of all issues reported. In depth online help with examples showing how to fix any issues reported. View the GEDCOM specifications online. Full support for many accessibility features including high DPI displays, high contrast themes and support for the OpenDyslexic font. Search your device for GEDCOM files and view details on the GEDCOM version, text encoding and source program. 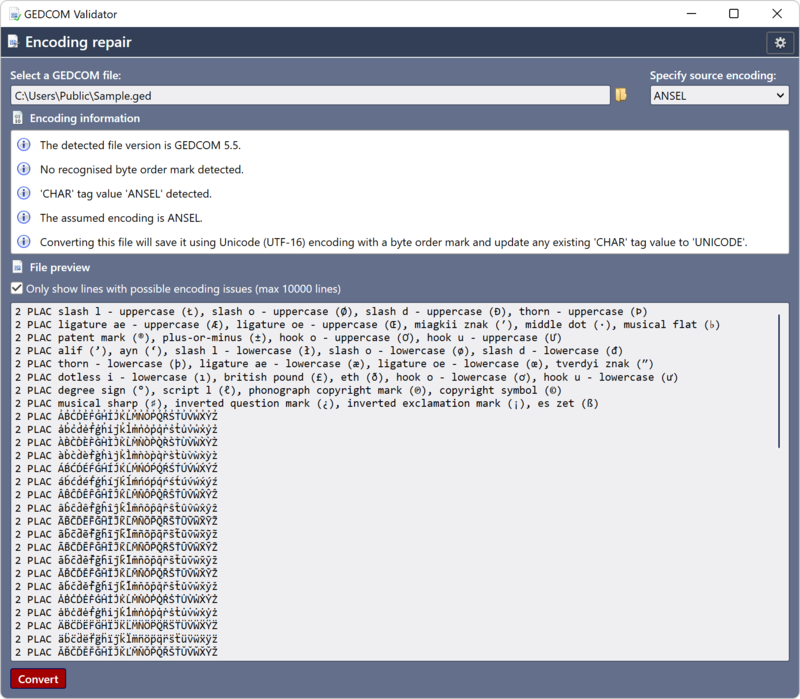 Detect and repair the text encoding of GEDCOM 1, 2.x, 3.0, 4.0 and 5.x files. Decode Binary Large Object (BLOB) data and save as a file.